Mai 21. - Mai 27.: GSoC start. Working on non ambigous Marching Cubes implementation. June 18. - June 24.: Revisiting the octree generation, research on Adaptive Distance Fields as split policy and / or QEFs again or something completly different. Also making things somewhat more usable. June 25. - July 01.: Refactoring storage and handling of the geometry to reduce batch count, more optimizations. July 02. - July 08.: Extending the triplanar texturing to a fullblown shader with lights, fog, etc..
July 09. - July 15.: Triplanar Texturing reference shader done. Loading basic (non-CSG) terrain from a config file. Starting to have a deep look at the WorkQueue to parallelize loading of chunks. July 16. - July 22.: Have a deep look at the WorkQueue to parallelize loading of chunks. July 23. - July 29.: Move the actual volume rendering code to a plugin. Starting with having a RTTSSystem triplanar component. July 30. - August 05.: Having a RTTSSystem triplanar component. August 06. - August 12.: Having a RTTSSystem triplanar component done. Creating a proper sample out of the current one. More warmup and making a comfortable environment. SDKTray TextBox, Main Sample class is registered as LogListener and fills it. 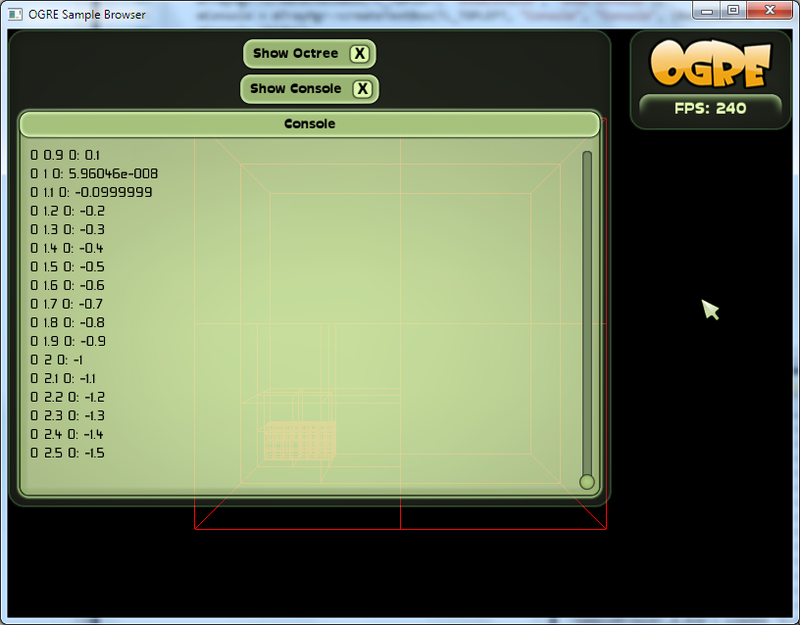 Checkbox for showing and hiding the octree. Hotkey "h" hides/shows all UI elements, nice for screenshots. Read the first half of "Effective C++" 3rd edition to brush up my C++ knowledge. Highly recommended book! 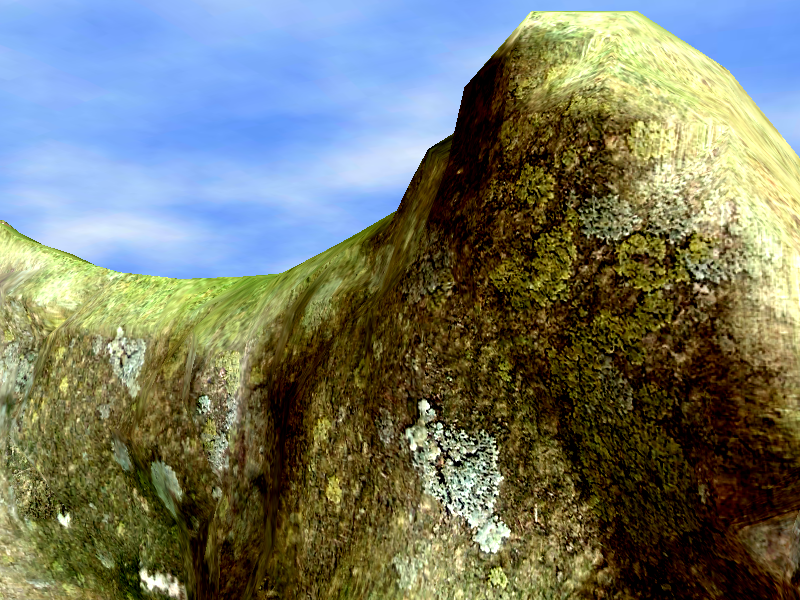 Triplanar Texturing with a small test-mesh, implemented as CG shader. Began a DualCell class which currently just holds 8 corners and can add them to a manual object for debug visualization. Next step is to traverse the octree and generate the dual cell grid. 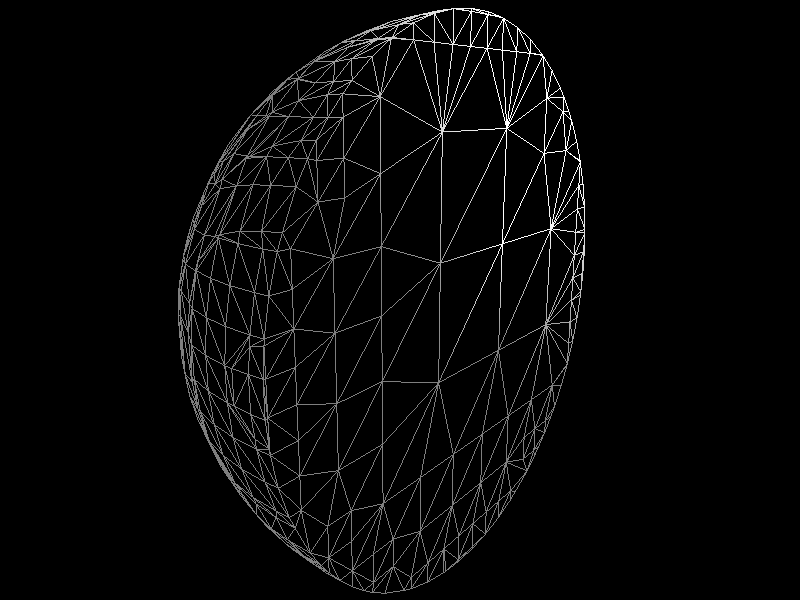 Implemented a MeshBuilder to build up a mesh from triangles using vertices and indices without duplicating vertices. Because the previous entry had no screenshot. First working Marching Cubes! Added a checkbox to hide and show the actual mesh. Using the cells of the DualGrid for Marching Cubes now. Updated the roadmap as the Marching Cubes stuff was earlier done than expected. Implemented Marching Squares to triangulate the open parts of the (future) chunks. Finished the triangulation via Marching Squares for the open parts of the chunks. Updated the roadmap, added the plugin point. 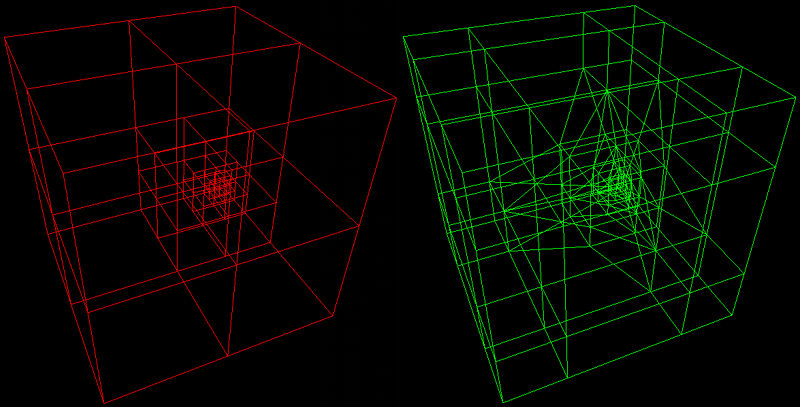 Changed the Octree grid split method to use some kind of geometric error. Moved Mesh Generation to the class Chunk. Finished a first LOD version with chunks and approximated pixel error. Made the TextureSource working with some real data coming from the editor Acropora. 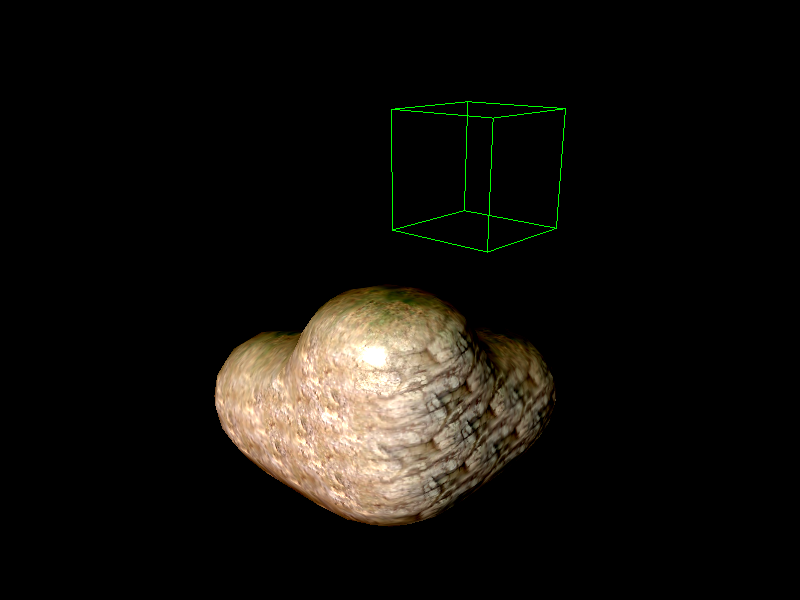 Added the possibility (switched on per default) to use trilinear interpolation of the normal in TextureSource. Some big loading time optimizations. Added a CSGUnarySource as abstract parent class, CSGNegateSource is now a child class of it. Added a CSGScaleSource (CSGUnarySource is the parent class) which scales the given Source. Good for scaling a TextureSource to the desired size. Optimizations and getting a bit towards something for the real world. Updated the roadmap as the LOD stuff was done one week early and I'm happy for now with the Octree. Changed the density function Source::getValueAndNormal to Source::getValueAndGradient. Don't generate those border/skirt triangles on the border of the world. Not needed here and saves a lot of triangles. Put the volume textures in a zip to decrease IO loading time. Don't generate chunks which don't contain triangles and don't patch cracks. This decreases the batchcount. Implemented a CacheSource. Might be usefull for very expensive (nested CSG) sources. Using far better normals for the crack patching marching squares. Added a debug/documentation visualization of the MC configurations, the key m switches through all 256. Switched off the handling of ambigous cases in marching squares as it caused a crack (this took some hours of debugging...). Changed the chunks from being closed with marching squares to just some skirts, also with marching squares. This saves 42% of the triangles for the testscenario! A bit more tweaking on the skirt normals. Some blending can be configured now from the outside. Introduced ChunkParameters as parameter of Chunk::load to clean up this giant amount of parameters a bit. The drawing octree leaves and their parents have the same size now. So the node before the leave doesn't split up into eight children but into one. The eight would be all drawn anyway so they can be one mesh. Saves again a lot of triangles (no more skirts here) and reduces the batchcount to something usable. Found an error in the OctreeNodeZhangSplitPolicy causing those big differences between chunks. Found an error in the Triplanar Texturing shader causing some bad lighting. 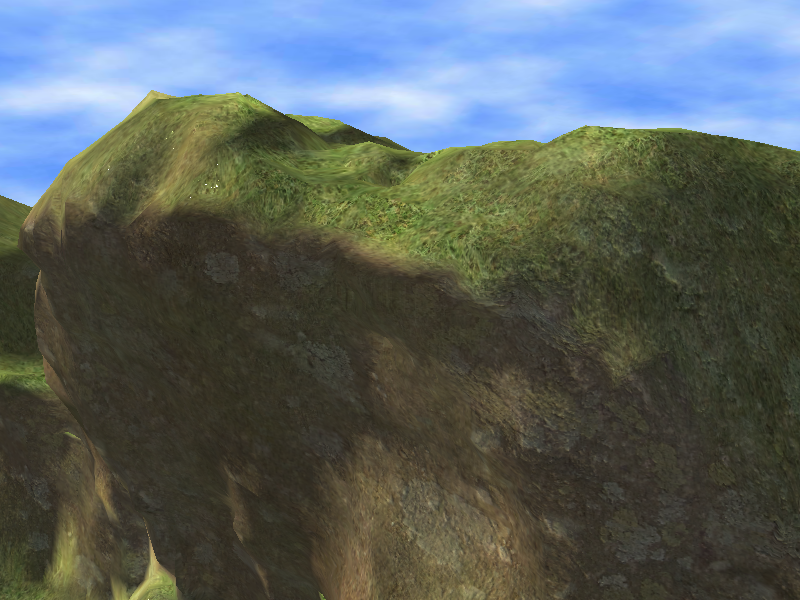 Added the point "Loading basic (non-CSG) terrain from a config file." to the roadmap. As the geometry and lighting is now nice and smooth, I initially wanted to post a video today. But unfortunatly, my router died yesterday due to a thunderstorm here and I'm on a crappy UMTS connection for the next days. So only a screenshot again. Bringing the shader to live. Supporting up to 3 lights in the shader. Supporting light attenuation in the shader. Supporting spotlights in the shader. Supporting fog in the shader. 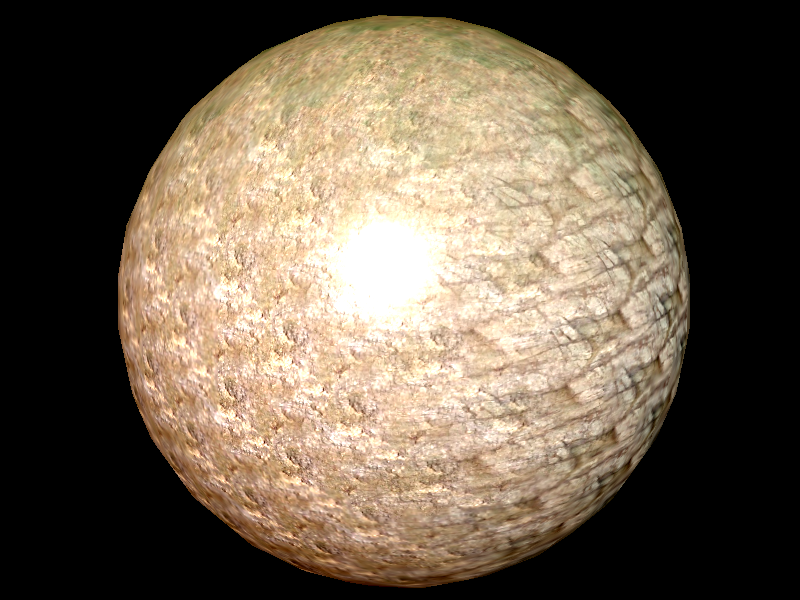 Supporting normal mapping in the shader. Added some ideas for later to the wiki. Added a possibility to get all chunks of a specific LOD level. Added a callback to get the actual meshdata of a specific LOD level while loading. Some more features and optimizations. Finished the reference shader. Although it's missing shadows. Updated the roadmap again. Removed the own material generation system, moved the other features in front and added triplanar texturing for RTTS afterwards. Added a possibility to load a volume terrain from a config file. Moved the calculation of the triplanar blending weights from the vertexshader to the pixelshader. Gives slightly nicer results. Using Ogres memory allocators (OGRE_NEW, OGRE_DELETE, ...) for the resources now (OctreeNode deriving now from UtilityAlloc). Decreases the loading time by about a third!? Encoding the isovalue in the length of the normal of the marching squares vertices which are completly within the volume. This value is then added to the planar mappings in the shader. The effect is, that there are way less texture distortions in the skirts. Removed the parameter skirtBlendWeightInsideNormal as this is not needed anymore. Fixed a bug in the generation of trilinear interpolated normals of the TextureSource. Removed Chunk::setChunkMaterial() and overriding the now virtual SimpleRenderable::setMaterial(). Parallelization, small weaks and fixes. Correct colours in the shader now. A first version of parallel Chunk loading. Small tweaks with the normals (again) make the skirts now acceptable looking. Updated the roadmap (again) and moved the plugin creation upfront the RTTS. Just hashing the vertex position in the MeshBuilder, removed the normal here. Gives a nice loading time reduction and should be OK in this case. Removed the not working QEF octree split policy. Removed the virtual part of this class for a small performance gain and also removed the dependency to the CML. Renamed all files according to the Ogre conventions. Moved all files except the actual Sample ones to a new Component "OgreVolume". Fixing stuff and preparing the RTSS-part. Fixed a crash bug when stopping the sample. Fixed a giant memory leak when loading a terrain from a config file. Fixed a smaller memory leak when stopping the sample where the Chunk tree wasn't freed. Fixed a memory leak where the geometry memory wasn't freed on destruction of the chunks. Changed the sleeping in the wait-for-threads-loading-loop from OGRE_THREAD_SLEEP(50) to OGRE_THREAD_SLEEP(0) yielding in 33% smaller loading time! 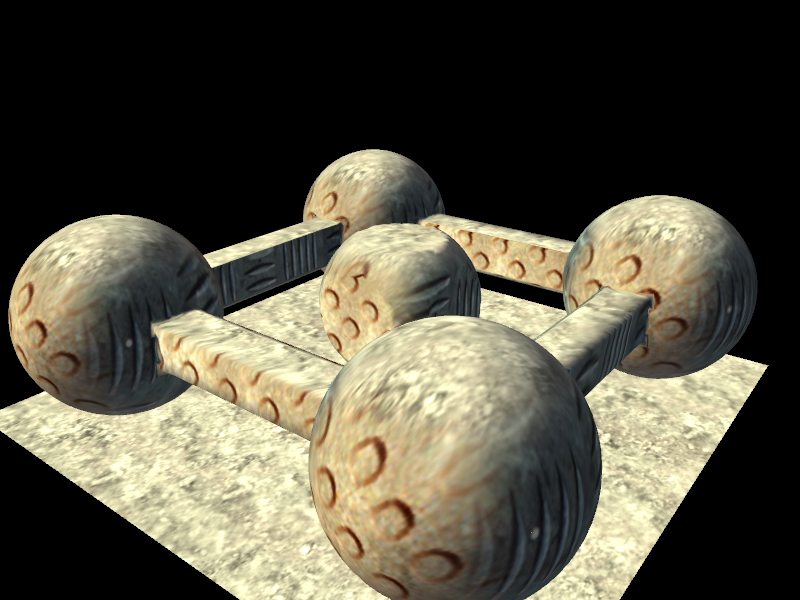 Some foundation work for the RTSS triplanar texturing. Last actual roadmap feature done, optimizations and refactoring, right on time with the "pencils down" date. Some microoptimizations to decrease the loading time a tiny bit. 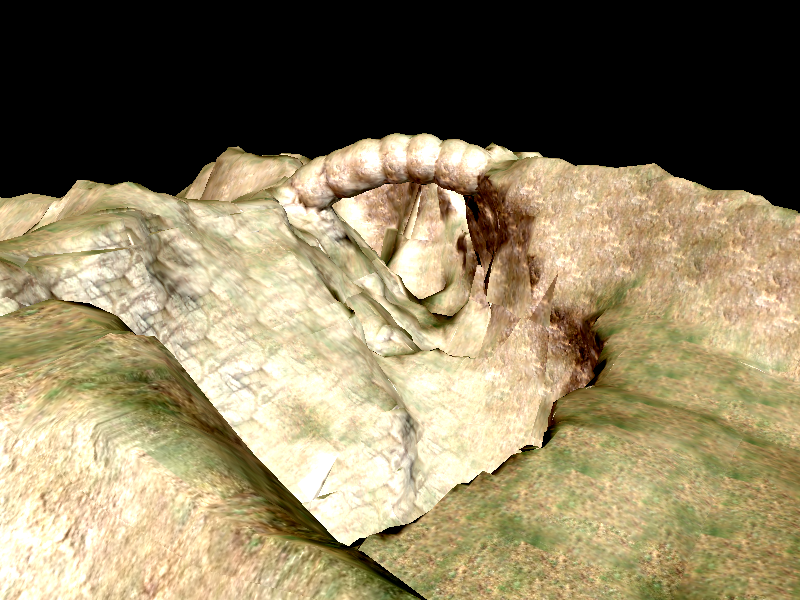 First working triplanar texturing SubRenderState for the RTSS! Moved some hardcoded triplanar texturing parameters to uniforms in the reference shader. Removed the normalmapping part of the triplanar texturing RTSS roadmap as this would require to implement the whole FFP_LIGHTING execution. This is a bit over the top for this GSoC when looking at the NormalMapLighting SRS. Sample Thumbnail and text updated. Using Ogres maps as default and removed Boosts unordered maps, yielding in about 25% less loading time and removed the (optional) dependency to Boost! Introduced a global scale parameter for easy huge terrain generation with lower resolution data, in this case a 2560x2560x2560 world from a 256x256x256 source. Moved the max accepted pixelerror from static to regular class member and made it loadable from the config file. Refactored the two methods of OgreVolumeUtils to other classes and so removed the now obsolete file. Using 16Bit indices now with a fallback to 32Bit if the current mesh is bigger (doesn't happen in the testscenario), reducing memory and further 5% faster loading time. Stripped down the sample and removed the development UI and the MC debug display. As I still need the MC debug display for some nice pictures in my thesis, I moved this to an own, separate application not in this repository. Supporting visibility settings in the Chunk (Chunk::setVolumeVisible(), Chunk::getVolumeVisible()). 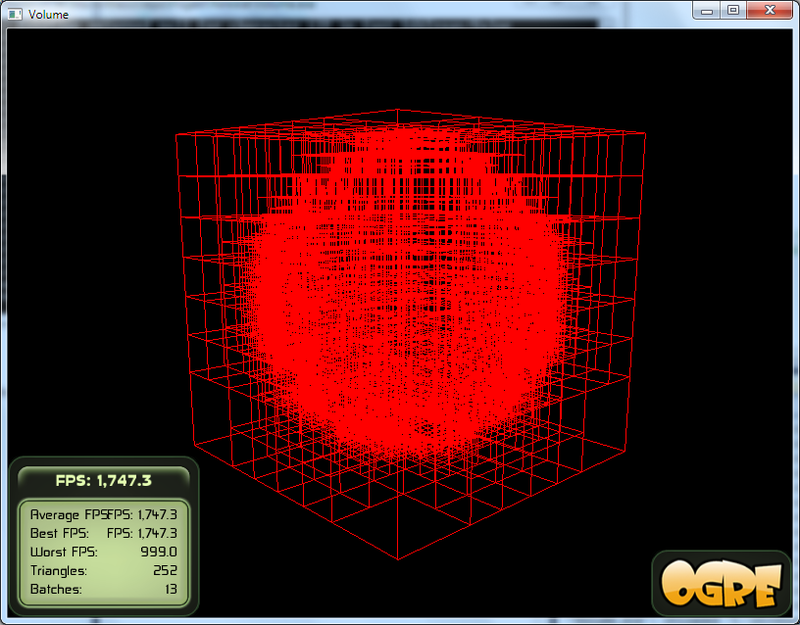 Refactored the debug visualization API of the octree and the dualgrid in the same way. Worked again on the texturing of the skirts. They are much better looking now for an acceptable cost of a tiny bit more loading time. Added the copyright headers to all files and some minor style cleanup. 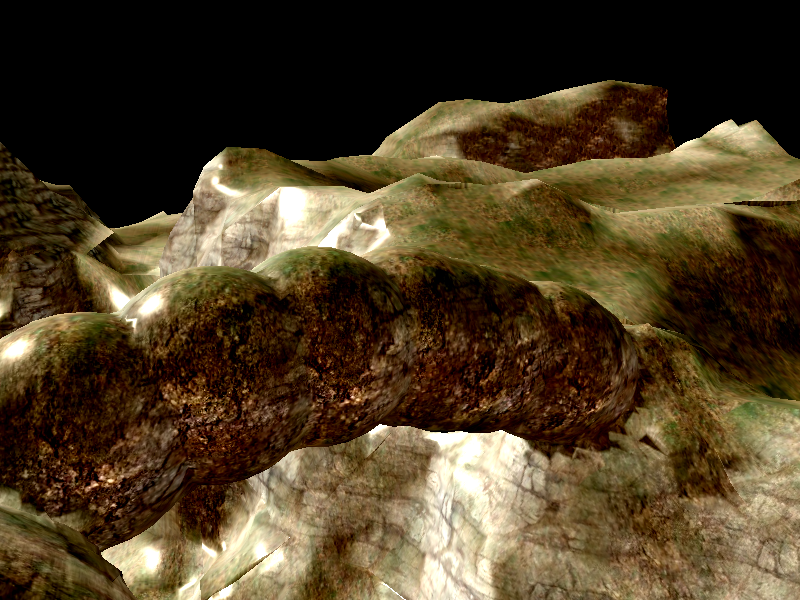 Some tweaks and cleanup of the sample VolumeTerrain. GSoC, but not project end! Release and more stabilizing. Created another fork of Ogre and added this project manually to the 1.9 branch there. Development happens from now on here as I need a clean branch for my thesis without commits from other persons. Will be merged every few commits to the main repo. Some more optimizations of the loading time by about 25%. Merged the code into the main repository! Fixed accidently slipped in Windows line endings. Added a small helptext to the terrain sample of how to move arround. Fixed the triplanar texturing shader of the RTSS. The CSG sample now uses the RTSS triplanar texturing and has a nicer thumbnail. So, we reached August 31th. Currently, there's hardly any documentation beside the two samples. I see the documentation in two areas: Usage and theory. The usage-part will get some wiki-articles in the next days. The theoretical part is all about how everything works. This is partly covered by my thesis I'm writing. I like the idea here of putting the LaTeX files on Bitbucket after I defended it. But this will take some time. The deadline for the written part is the 6th of Novembre, the defense is... at some point afterwards, maybe a few days, maybe a few weeks... I also aim to write a paper or two about this and present it on conferences. But no concrete plans about this. I'd love to have a noise source. The only serious way to create the 3D textures needed for the terrain I'm aware of, is Acropora 0. But this program is not free (and also my trial expired ). Please tell me, if you know something here, a free editor would be the best. So an editor would be awesome. For this, a few parts are still missing: Some intersection with rays. For editing, intersection with the actual volume should be good which doesn't sound that hard. Also a way of updating the volume data during runtime is needed ("add sphere here coming from a brush"). And the third thing is the update of the chunks. A chunk needs some milliseconds (like... 15-25ms on my dualcore?) to be created, might be practicable or not, has to be tried. For real large worlds, paging is a must. The paged data could be the dualgrid and not the actual meshes of the chunks. Also the volume source needs to be paged maybe, as it's not reasonable to hold a giant memory block of the texture data in memory. With procedural sources, this would work, as they naturally require not a lot of memory. Must be further investigated. Here I collect ideas which could be implemented in the future, likely after the GSoC. But nothing is guaranteed here, just collecting. Needed for really large worlds. Needed for picking and physics. But what to take here? Keep the Source and use this for intersection searching. Pro: More easy to find them. Con: Can be memory heavy (if the source contains a big 3D texture) and as the generated triangles are naturally only an approximation of the volume, it won't be triangle-perfect. Keep the DualCells of the highest LOD level. First pick the chunk candidates by using the AABB of the chunks and then walk through the dualcells. Test them for hits. And if so, generate internal triangles on the fly and test them. Pro: Less memory heavy, but could be still heavy. 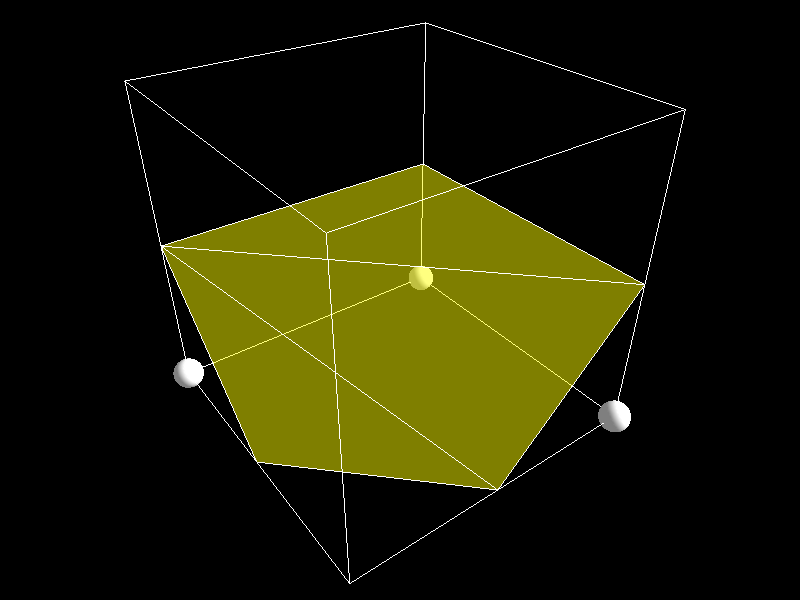 I have to find out, how to intersect rays with (often degenerated) cube-like thingies. Pro: Could be fast due to the nature of this broad-, middle- and nearphase. Union a voxelized mesh with your terrain and you get Mount Rushmore. Idea: Some image processing kernel like stuff. -> Ou, nothing changed, no repeatition anymore. Looks like a 2D volume, or? Instead of +1 or -1, it could also depend where the difference is in the kernel. So if the value with the lowest difference to the hotspot is northeast/northwest/southeast/southwest, add/dec by 0.707. If it is straight north/east/south/west, add/dec 1. If they are equal, +-1 is prefered. -> This expands naturally to 2D heightmaps. I think you need to start from an octree structure. remember that the figures of distance to ground don't have to be exact. I think a general algorithm would be. Divide those octree nodes that include the terrain in them recursively. Do this until you get to the required graininess. Do not attempt to calculate distance, at this point, only calculate whether the node is inside or outside the terrain. For each child node calculate the vector between the center of the node to the center of the child. For each such calculation add the resulting vector with the vector of the child to the surface. Select the shortest or median distance between all resulting vectors. 1. calculating a non-leaf node distance to the surface by considering both the distance of its children and it's neighbours children. 2. not calculating the non-leaf node distance from its direct descendants but from some level lower down. So far, no feedback of Mr Perlin yet on how to use the code there. Looking for different implementations to not run into license issues. This looks good: http://stackoverflow.com/questions/6963388/fastest-perlin-like-3d-noise-algorithm A big explanation PDF is linked and in that PDF, a public domain 2012 Java implementation is linked. This could be ported easily! As the loading time can be significant, an option would be nice to throw the generated tree with all its triangles to the disc and load it again. This way, this serialization could be delivered with the product or generated just once if too big for this. Might be also an idea to just serialize the DualCells? This would also be good (== more or less required) for Paging. Beside scaling, there could be rotation and translation. Or any 4D matrix? Depends on whether it's possible to get the inverse of any 4D matrix in Ogre. This would be really cool. 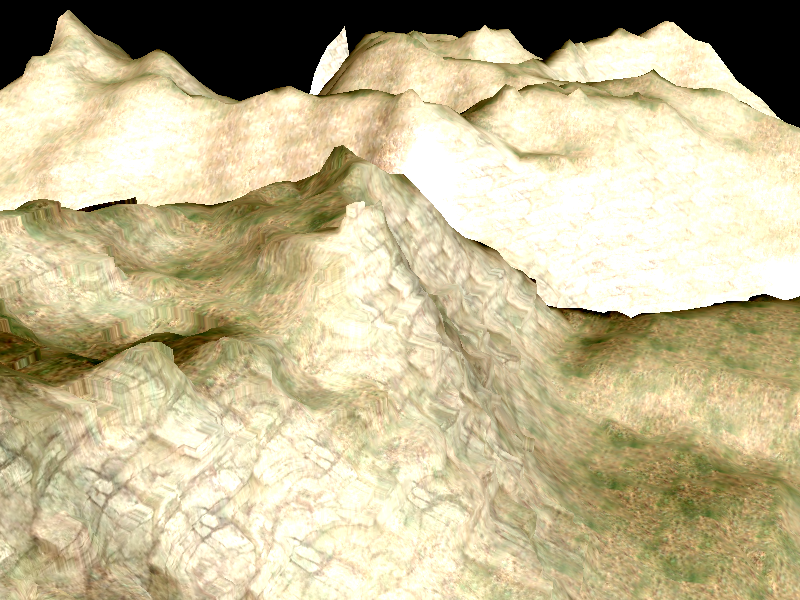 And: The currently used textures already offer an heightmap! Create a factory-pattern for the Source implementations so plugins can be written. But this could increase the load time quite a bit! If implemented, then in a way to be able to switch it on and off via parameters. Contributors to this page: philiplb . Page last modified on Friday 31 of August, 2012 09:14:57 GMT-0000 by philiplb.